Suntex Marina Investors LLC (Suntex), the premier owner and operator of best-in-class marina properties, announced today that it has acquired the Loggerhead Marina portfolio. Under the terms of the agreement, eleven Loggerhead Marina properties located throughout Florida now join the Suntex portfolio. With Loggerhead’s combined 2,300 slips, located in luxury locations stretching from Miami to Daytona Beach and on Florida’s west coast, this purchase makes Suntex Marinas the largest marina operator in Florida. All Loggerhead marina locations are designated ‘Clean Marinas’ under the State’s Clean Marina Program. 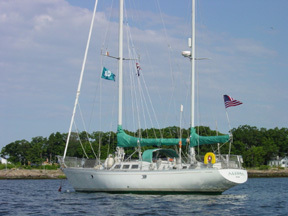 The Suntex portfolio of 43 marinas are located in Kentucky, Florida, Georgia, Iowa, Maryland, Massachusetts, New Jersey, New York, Texas, Virginia, Tennessee, and Oklahoma. For more information on Suntex Marina Investors LLC, or the complete portfolio of Suntex marinas, please contact info@suntex.com or visit www.suntex.com. For more information on Loggerhead Marinelife Center and to support its work, please visit www.marinelife.org.